Description: Planting Tropical Lilies: minimum nursery "gallon" size pot with holes. Plastic is light weight and durable. You can find all sorts of "pots" at discount centers like Dollar General or MacFrugal's. I do not recommend open weave containers unless you line them with weed block fabric. Use heavy garden soil with clay, no mulches added. Mulches tend to float to the water surface and muck up the water. Cover the holes with a layer of newspaper, add about 1" of soil, add a single layer of fertilizer (or you can add it closer to the roots but may be fertilizer leakage into the water), add more soil. Make room for the rootball, planting the tuber in the center. Leave the growing crown slightly above the soil surface. Firmly tamp the dirt, cover with gravel (crown still needs to be uncovered) to help keep the soil in & fish out. I find that the original amount of Osmocote fertilizer 14-14-14 formula is enough to get me thru the growing season. Place in water with 6" over crown. Lower pot as plant becomes established, maximum 18" water over crown. 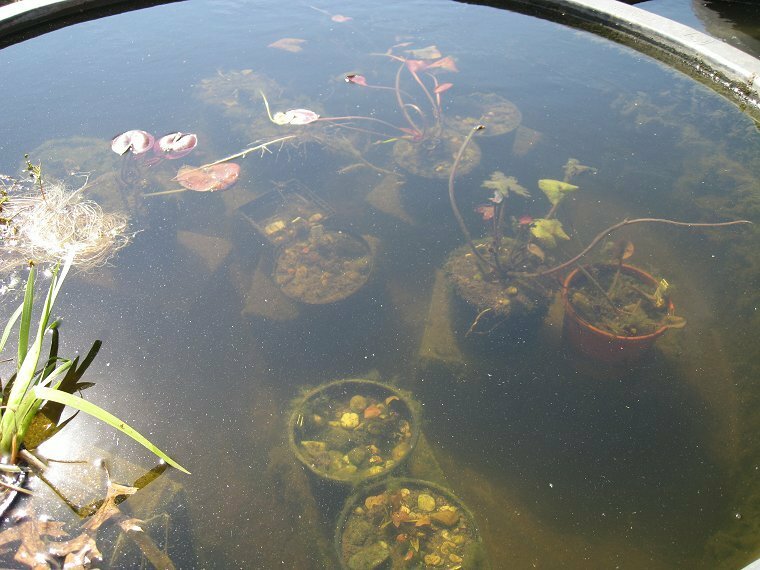 If possible, prevent the leaves of other lilies from covering the water surface over a tropical lily crown. Divide and repot as plant(s) become rootbound. See item descriptions for sun and partial shade. MOST tropicals prefer full sun, but there are several varieties that will bloom in partial shade.